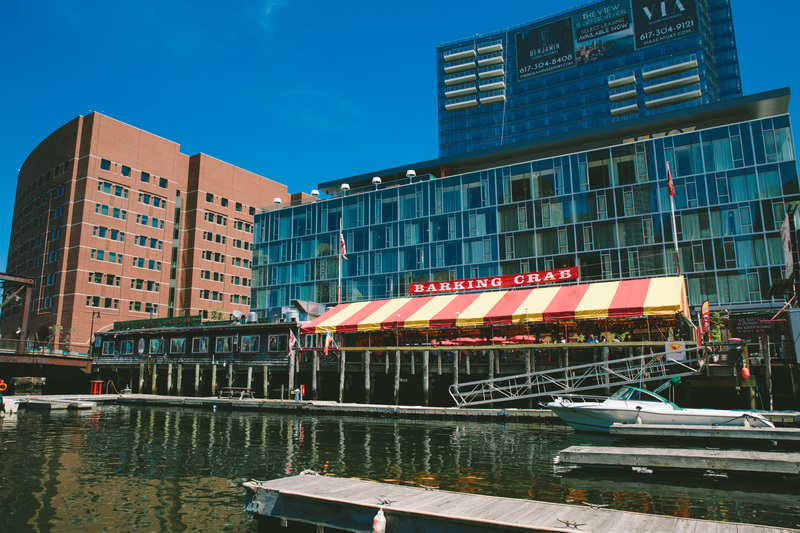 The Marina at the Barking Crab is located in the Fort Point Channel behind the Barking Crab Restaurant. The Marina is between the Northern Avenue Bridge and the Evelyn Moakley Bridge (Seaport Blvd.). In order to access the Marina at higher tides you must coordinate with the operator of the Northern Avenue Bridge. The Marina at the Barking Crab is open from May 1 through October 31 each year. The slips inside the docks are rented on a seasonal basis. There are temporary slips available for day visits (overnight parking is not permitted in the temporary slips). There is no street parking in front of the Barking Crab Restaurant (it is a reserved Fire Lane). The Hull Lifesaving Museum and the Boston Rowing Center run water programs and events from the marina and in the Fort Point Channel, more information can be found at www.bostonrowingcenter.org or www.lifesavingmuseum.org.